Something that was originally unique to Munich, Bavaria in Germany has now become a worldwide phenomenon, with cities in almost every country having their own variation of it. 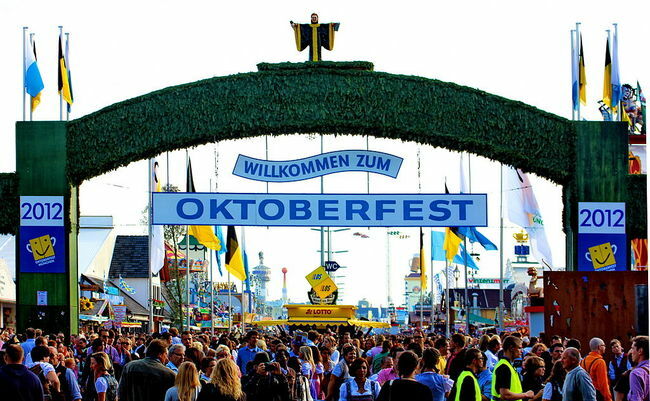 So what exactly is the Oktoberfest? 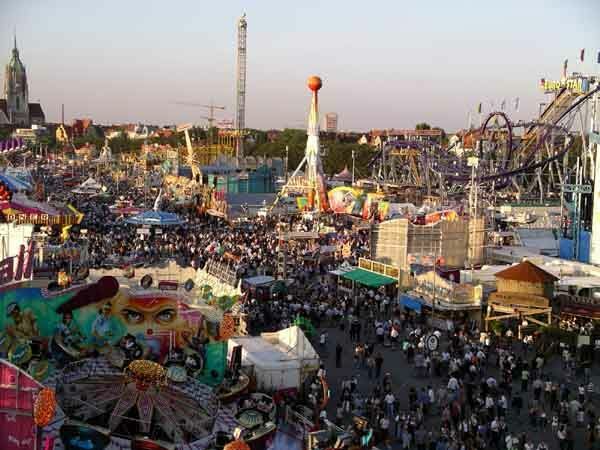 It is the world’s largest Volksfest (beer fest and travelling fun fair) aka a 16 day fun fair where people can enjoy great German beer, make merry and even go on amusement rides, in other words its a big fat reason for revelry! While a lot of cities across the world have their own little Oktoberfests now, modeled after the original one, there are still plenty of reasons you must go for the original one, and it does go well beyond just beer! Well sort of…the entry to the grounds are free of cost, getting a table at any one of the tents is free (be sure to reserve in advance though), all you have to pay for is what you eat and drink and if you are looking to have a really good time there, just about 50 Euros should do the job well. More reasons to smile! It’s a fanatastic atmosphere that will bring out the inner child in you. A fair of this magnitude with some amazing amusement rides, live bands and dancing, a chance to meet people across cultures, to get an authentic experience of a traditional German festival and the fact that this is a great place for people of all ages to be present at will definitely strike a chord with anybody. Its not just about the beer, its more of a community getting together to enjoy 16 days of blissful merry making! 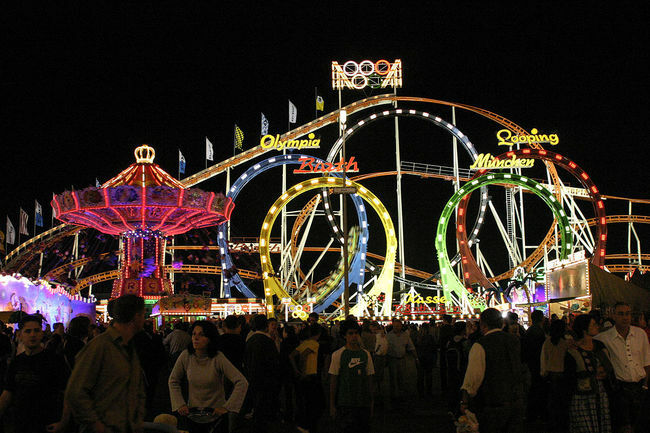 Oktoberfest at Munich is supposed to be the World’s largest fair and it is not limited to just beer guzzling. Large number of families with young kids are quite happy to enjoy this 16 day fest as well. Who wouldn’t want to say that they have visited the world’s largest fair and probably the most fun one too! 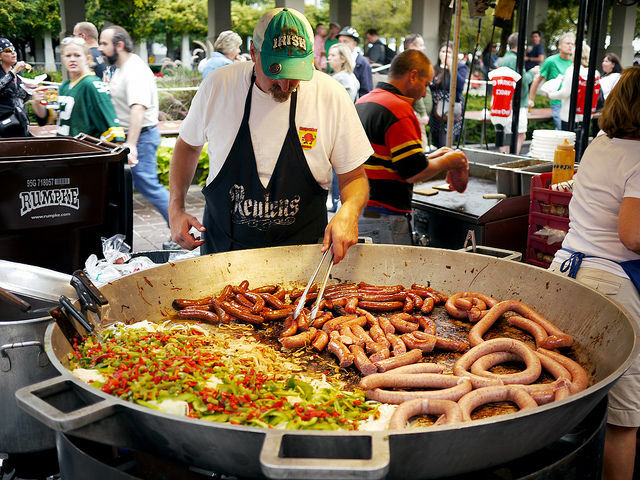 The food served at the Oktoberfest Munich can give you some serious foodgasm! If the thought of trying out some very authentic German festival food appeals to you, then that is a very good reason to be present at the OKtoberfest. Delicacies like Hendi (roast chicken), Schweinebraten (roast pork), Wursti (German sausages), Kasespatzle (cheese noodles), Steckerlfisch (grilled fish on a stick) amongst others are served during the fest, and are sure to make you more than happy! You think the Oktoberfest is just about getting to a place, getting a table at one of the tents and grabbing some beer and food? Well while broadly it kind of is that, but the tents have a lot more character than you realise, and you experience can very well depend on what tent you choose! With over 34 beer tents, you got to know which one to reserve a table at that will best suit your personality and needs. The Schottenhamel Tent is the oldest and the most important tent, it is also the largest tent with a seating capacity of 10,000! This tent is best for young revelers and party goers. If you are looking fora more hip tent which is frequented by local celebrities, then the Hippodrom Tent is the one for you. 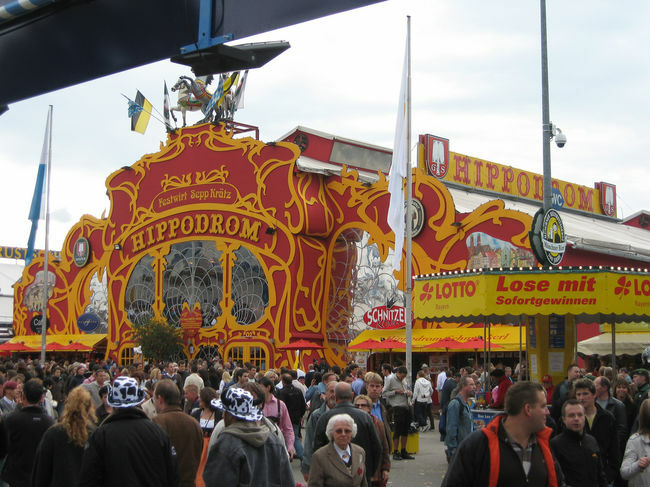 Sure its a beer fest, but that does not stop the Hippodrom from serving some Sekt (Champagne) as well. If you want a more touristy experience, then head over to the Hofbrau Tent, which in addition to beer has Bavarian Oompah bands and you will find a lot of people dressed in traditional costumes as well. So do a little research before deciding on your tent, or maybe if you are there for more than a day, then why not experience a couple of different tents! 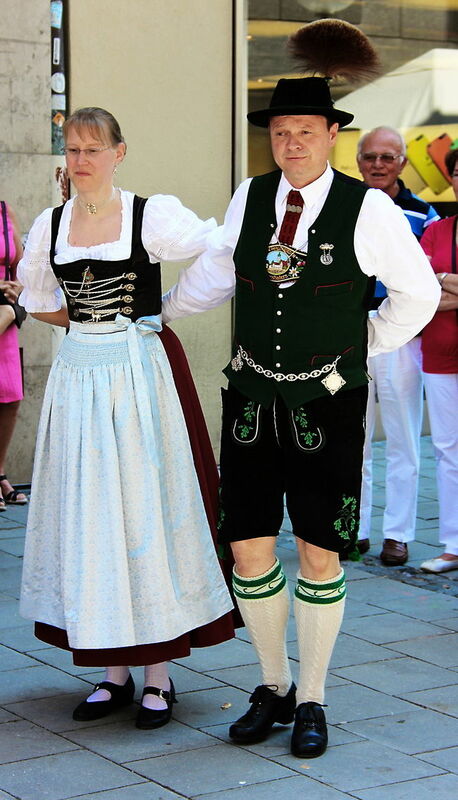 While you can definitely stroll in with your jeans and jacket, but it definitely wont be as fun as wearing a Tracht (the traditional dress worn in Bavaria). You can buy the traditional outfits for both men and women at any of the Trachten outlets in the city or maybe even try ordering them online. The fun does not stop once the tents close down for the day, in fact locals and tourists alike head to Munich’s best destinations for an after party. While one of the tents; the Kafer tent is open till late, chances are that you probably wont get entry because it will be overcrowded by the time you decided to go there, instead head to some other places such as The Martini Club or head to Kultfabrik which is also known as the biggest Party area of Europe! Here you can find a huge number of bars and clubs that are open till the wee hours of dawn! Probably one of the best things about the Oktoberfest is that it happens in Munich, and the city has a lot to offer to a traveller. The Dachau concentration camp, the BMW museum, the Nymphenbburg Palace are just few of the attractions that one can visit in Munich. So while you may have missed the chance to experience Oktoberfest this year, make sure to make it a part of your bucket list that needs to be checked off soon!